Join us and Rebecca from Rivington Rose for a home décor workshop as we create a Dried Flower Wreath! 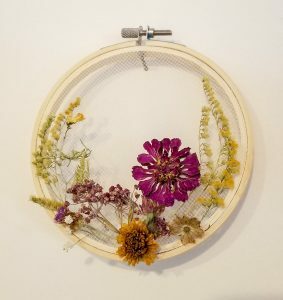 During this one hour session, participants will weave various dried flowers around an embroidery hoop to make a one-of-a-kind custom unique wall art. Wine and light snacks will be provided. 100% of the registration fees go directly to the business who helps host this event. Support local. All class purchases are final.